Sahara One’s Masakali (Swami Films) will see a new twist in the tale with the character of Roshni, essayed by Rahila Rehman turning completely negative from tonight’s episode. The lady entered as part of the game plan set up by Vishal (Vishal Vinatre), wherein he asked her to pose as his wife before his family. Roshni who initially refused to help Vishal later succumbed to his pleas and has come forward to help him. But now that she has entered into the family as the bride of Vishal, her real colors will come out. As per a source, tonight’s episode will reveal her real intentions. Roshni would have been in love with Vishal ever since she had met him two years back. Just when she was to speak her mind out, she had gotten to know of Vishal’s marriage to Chandani (Nisha Nagpal). Now with her getting yet another opportunity to win her man, Roshni will not let the chance go away. She will be seen plotting to destroy Vishal’s family as they would not accept her marriage to Vishal. Catch this interesting drama in Masakali. Confusion reigned supreme on the sets of Sahara One’s popular show Masakali three days back when leading lady Nisha Nagpal mysteriously disappeared without a whisper leaving the show’s production house Swami Films and its creative heads in a lurch. With their lead actress gone, the show came to a standstill. The crew made vigorous attempts to trace the missing actress but unfortunately all efforts came to naught. While the production house was at its wit’s end, Nisha is said to have established contact with them via email stating that she had to fly down to Dehradun urgently as her mom had taken ill. 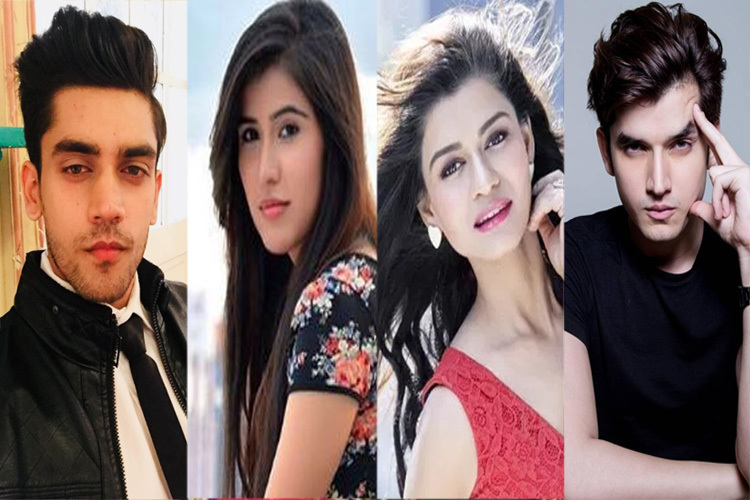 The creatives who were grappling with a situation in hand implored the actress to return soon for the sake of the show which couldn’t continue without her presence. But Nisha allegedly told them that her return would happen only after her mother completely recuperates. Just when the creatives were trying to come to terms with the fact that Nisha could be absent for long, in came another missile in the form of a second email from Nisha. In the said email sent at 1.30 am today, Nisha announced her decision to move on from the show owing to professional and personal reasons without elaborating any further about the same. (Tellychakkar has a copy of the said mail). Well, with both sides trading accusations and counter-accusations, this looks much like any other drama-filled Indian soap opera. Talk about reel spilling into real! Wonder who will come out triumphant in this battle. Let’s wait and see.